In 1903 Ford Motor Company was officially started by Henry Ford, and they released their Ford Model A. In under 3 months after the Model A was released, Ford had made a profit of $37,000 from the Model A. Fast forward to today and Ford is making a revenue of around $150 billion with a profit of $23 billion. 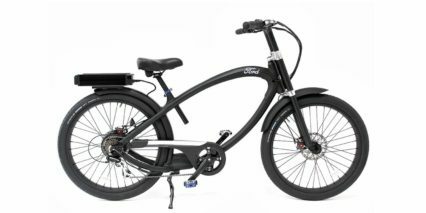 Ford’s vision is to have “People working together as a lean, global enterprise to make people’s lives better through automotive and mobility leadership.” Ford mainly produces cars, but they’ve started expanding into multiple different areas, one of which, is the e-bike market.